Make him feel like a king on this special occasion. (SPOT.ph) Want to take dad out on his special day but have no idea where? We're rounding up the best treats with the best deals on where to celebrate and make him feel special. Dads are in for a lavish buffet treat, priced at P2,300 net per person, in the Corniche lunch and dinner stations. Craving for Oriental flavors from the Land of the Rising Sun? Yurakuen is the place to be with family set menus good for 4, 6, or 10 persons. And for a minimum rate of P5,000, your number one man will get the chance of a lifetime to win prizes from huge brands like American Tourister, Lacoste, Jack Nicklaus, and Hugo Boss. Let your dads enjoy a first from Traders Hotel as guests, and get to have a thrilling experience of restaurant hopping at only P1,288 net per person. 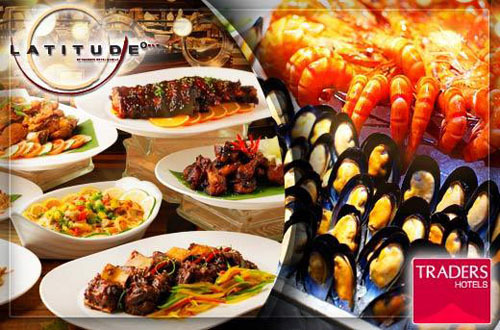 Have a delightful mélange of Asian and international cuisine at Latitude with its mouth-watering lineup which highlights its fresh green salad bar, assorted Chinese-style dimsum, a variety of succulent meat and seafood grills, and all-time favorite homegrown Filipino dishes such as kare-kare and lechon kawali. If you're craving for some Japanese, hop into Kitsho Japanese Restaurant and Sake Bar. Fill your palate with a wide range of fresh sushi and sashimi alongside some exquisite Japanese cuisine complete with a wide selection of desserts and pastries. Meals are also complemented with chahan (Japanese fried rice), miso soup, and mugicha (traditional Japanese tea). A free flow of Badoit sparkling water rounds out this gastronomical treat. 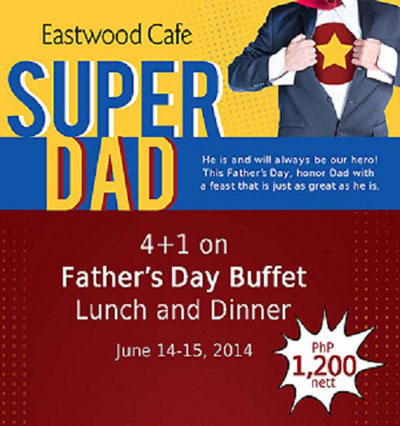 Show your daddy some well-deserved appreciation by treating him to one of the best buffets in town. P1,300 is the price for adults and P700 for children. Your dad is entitled to one complimentary glass of wine as well as a chance to win prizes in the raffle draw. And for every group of five, fathers get to dine for free! Indulge in delectable meals with an equally delectable deal at P2,500 for a Father's Day Set Meal for 4. Celebrate with your dad and have this savory treat which comes with crab meat corn soup, Makan-makan's signature fried chicken, sautéed kangkong with oyster garlic, grilled bangus, yang chow rice, and a refreshing glass of buko juice. Located away from the hustle and bustle of the city, this is a peaceful and relaxing alternative to the daily Manila traffic-all for the number one man in your life. Nabasan, Subic, is the place to be for this change-of-scene getaway. Enjoy 25% off of the room of his choice with rates starting at P7,150 net with complimentary breakfast for two. A bottle of wine also awaits dad with family set-menu dinners at P825 net. For inquiries and reservations, call (632) 843-7851 or 09178522835 for Globe subscribers and 09474075119 for Smart subscribers. Another out-of-town treat worth celebrating during Father's Day. 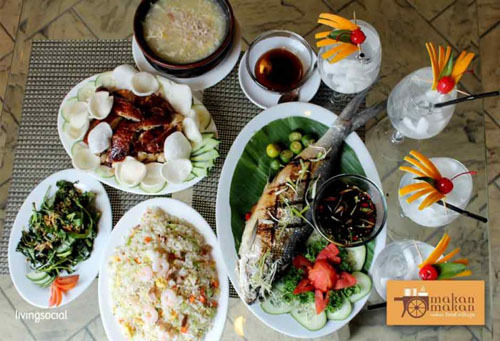 Enjoy fine dining with two special gourmet menus in Clark, Pampanga. The Father's Day Wine Paired Menu is priced at P1,800 + net with prawn toast as appetizer, classic French onion soup, prawns saute chardonnay with fresh mushrooms as the seafood course, choice of beef fillet barolo sauce or duck breast with orange sauce as the main course, and dessert. The meal comes with three different wines to choose from. For health buff dads, a Healthy Option Menu is available at P950 + net. Butternut squash ravioli with sage brown butter sauce serves as appetizer, followed by the roasted creamy pumpkin soup, a choice of Italian stuffed chicken or Italian baked fish, dessert, and over 2,500 selections of fine wines. For inquiries and reservations, you can check out Yats Restaurant's website. Now is the time to turn the tables and spoil your dad with a weekend getaway set against a backdrop of luxury. A dining experience at Spiral features culinary masterpieces spread across 21 ateliers. Want to capture a picture-perfect moment with dad? A caricaturist is on hand for that too! There's also a cognac and wine tasting special and a cigar-rolling demonstration. Exciting prizes await daddy dearest with a chance to win gifts from Vietura Aesthetic Lifestyle and Lab Series and a special tailor-made suit from Bergamo. Four lucky dads get their chance of a lifetime to win a luxury drive in a Maserati Gran Turismo Sport. To top it off, racing circuit household name Menchie Ramirez will be right by his side for the ultimate Fast and Furious-esque adventure. For adults, dinner rate starts at P2,650 ++ and Sunday brunch is at P3,550 ++ and P1,550++ respectively for adults and kids aged 4-11 years old. Dads at DADS is definitely the way to go with their three global-cuisine buffets including authentic Japanese food choices from the famed Saisaki Sushi Bar and Japanese Restaurant and Filipino regional dishes, classics, and other all-time favorites by Kamayan. Enjoy their special extended promo with your favorite all-around man this Father's Day weekend at only P788 net per person. For inquiries and reservations, call 636-3785, 633-1758, or 0917-8961757. 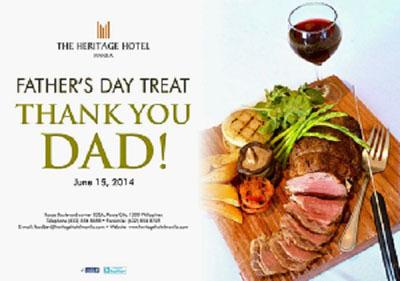 Pay tribute to Dad this June with Manila Hotel's treats. 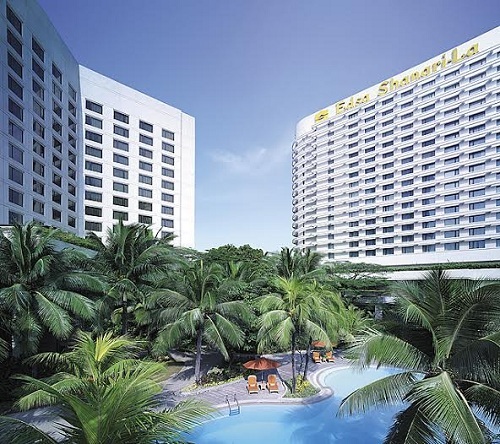 The Dad's Retreat Package is inclusive of accommodations in one of the hotel's superior deluxe rooms, a breakfast buffet for two at the Café Ilang Ilang as well as a choice of either shiatsu, Swedish or Manila Hotel Spa and Wellness Center's signature massage, or Men's Vitality Facial Session. 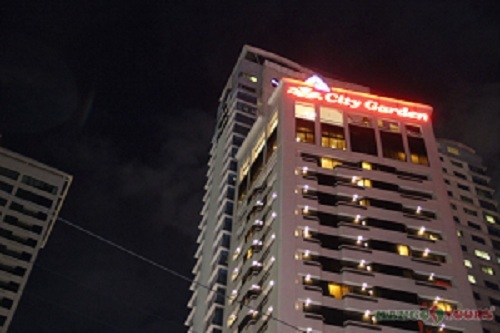 This jam-packed package priced at P8,000 net per room a night will make your dad feel like royalty. 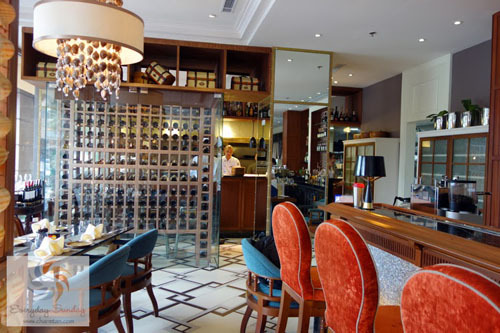 A treat for guests dining at Manila Hotel's restaurants is also in store for Father's Day weekend. Have a trip around the world with an offering of famous meals from different continents at the Café Ilang-Ilang during brunch for P2,850 net per person and P3,000 net per person for dinner. 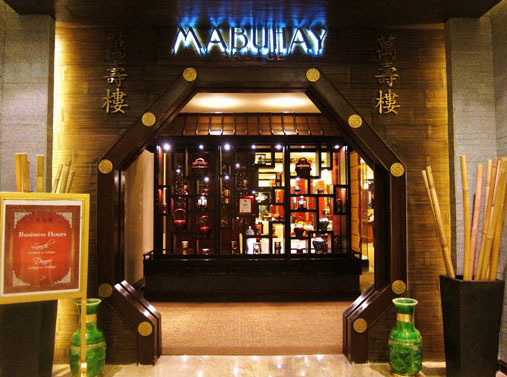 An authentic Cantonese meal is also for grabs should dad fancy Oriental tastes with a dining experience at the Mabuhay Palace available at P2,200 net per person. For inquiries and reservations, call 527-0011 (loc. 1175 to 1179) or visit their website. This famous grill, which first opened its doors to the public back in 1977, used to be within Manila Hotel's walls. The grill house with the Grand Dame cowrie shell as interior décor has since found a new home at one of the go-to shopping centers at the heart of Greenhills. 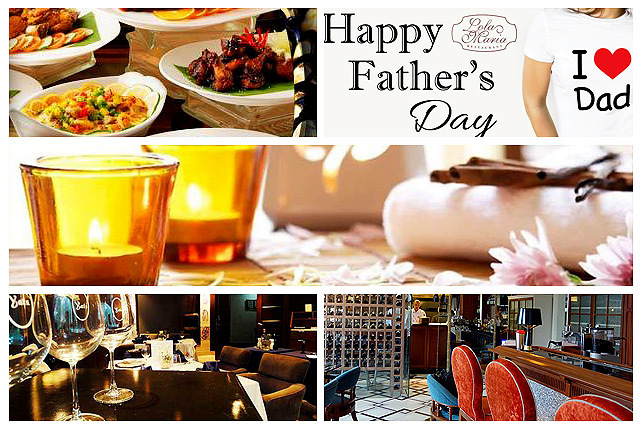 A 30% discount awaits dad's meals during lunch and dinner on this special day. Diners also receive another discount voucher they can use in their next visit. For fun-loving dads, this is the best treat for Father's Day that doubles as family bonding. 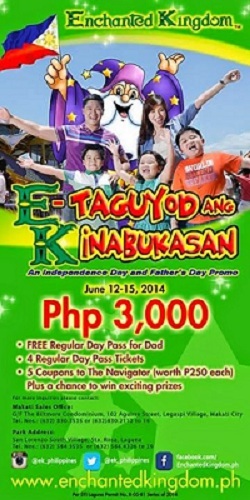 At P3,000, one can enjoy fresh deals off Enchanted Kingdom's three-day promo. Book directly at their website, and an exceptional package is in store for a Father's Day special which includes a free room upgrade of any choice, buffet breakfast, an hour's worth of body or foot massage for one, unlimited, free Wi-Fi internet, complimentary use of swimming pool and health club facilities, plus a personalized Father's Day greeting card. 13. Sales and deals everywhere! Take daddy out on a shopping trip he won't want to end. Get great deals off shoes and watches with these treats from Wade and TechnoMarine. Get a chance to win a P1,000 shopping coupon for Dad at the SM Store with a P2,000 single-receipt purchase. 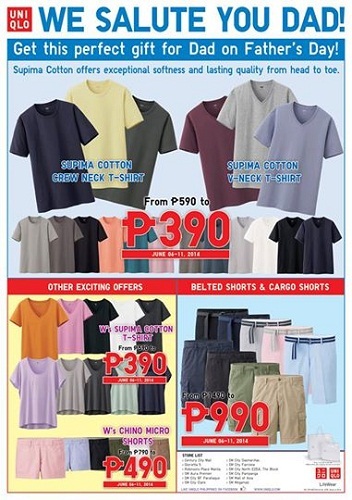 And check out the huge discounts on dad's everyday wear over at Uniqlo! Now your dads can finally indulge in a stress-relieving treat from Dusit Thani's new creation from Devarana Spa. Lo and behold, the Organic Natural Botox or the Green Lifting Facial. The organic antioxidant nutrients used are paraben-free and work to replenish facial skin to its glowing vigor. It also softens fine lines and wrinkles, moisturizes, and tones. After a hard day's work, your dad will surely thank you for younger looking skin with a radiant and stress-free glow at P4,200 ++ for 90 minutes. A free lunch buffet? Now that looks like a perfect Father's Day present, and you don't have to spend a lot for it either! Check out The Legend Villa's treat as Dad gets to eat for free at Lola Maria Restaurant for lunch, 11 a.m.-2 p.m. There has to be at least five adults for this offer, though, so round up the whole family for this celebration. 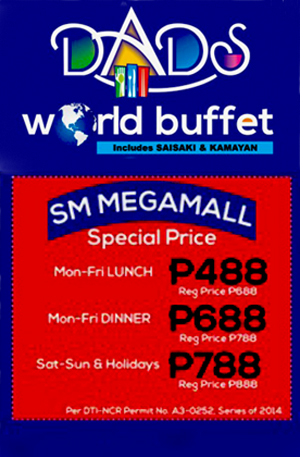 Lunch buffet is only at P480 net per person. For inquiries and reservations, call 702-2793. How about a well-deserved all-out show for your dad on this special occasion? Watch out for the Father's Day Mall Show over at the Farmers Plaza Atrium, Cubao, with exciting performances by TV5 and VIVA stars. Loads of prizes are also at stake with fun games that will ensure some quality bonding moments. 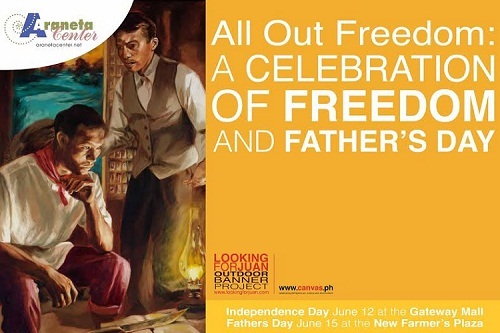 Show starts at 4 p.m.
Take a trip back to memory lane this Father's Day at the launch of the Looking for Juan art exhibit which runs until June 21 at the Gateway Mall Activity Area, showcasing works by both National Artists and contemporary Filipino painters. Freebies are also up for grabs in the celebration-filled weekend! A minimum single receipt of P200 with any Coke product from all Araneta Center Food Courts and SNAXX Cinema branches entitles dads to bring home a free bottle of Powerade Energy Drink. Visit the Araneta Center’s website for more details. A special man deserves nothing but the best. 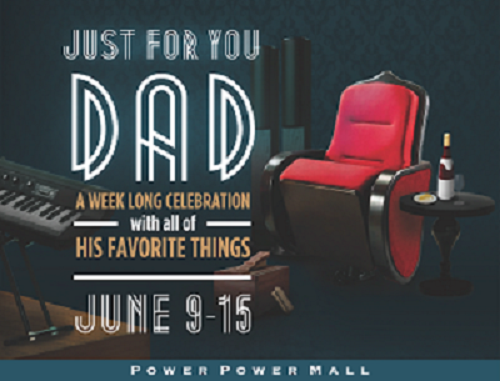 Give your dad the VIP treatment with Power Plant Mall's weeklong celebration. Starting on June 9, a visual feast will be on display as BMW and Subaru, two of the major car brands in the country, exhibit a new lineup of quality automobiles. June 14 and 15 are other dates to watch out for as Power Plant Cinema grants dads the privilege to watch a film for free. 1,000 lucky dads will be given privilege cards which include, among other special offers, a free parking card. The Gentleman's Lounge also welcomes dads on June 15 for a taste of luxury, with whiskey or wine, while they sit back and relax to the live music. Some vintage will also be at display with cars from Morgan gracing the venue. Want to gift dad something both deliciously sweet and sinful? Look no further and let him indulge in Wicked's rare and delectable offerings. A feast of flavors awaits with spoils of chocolate and bacon. A hearty dose of Bacon Brownies is available at P75 per piece. Wicked Bacon Strips also come at the same affordable cost for a blissful taste. Cap off the celebration with a Jack Daniel's Pound Cake, with prices ranging from P375 for a junior one to P985 for a whole piece. A caramel dense pound cake-with roasted walnuts and toffee bits with an extra note of Jack Daniel's syrup topped with caramel Jack Daniel's sauce-will make dad go nuts. Wicked is at the 5th level of the East Wing of Shangri-La Plaza Mall, Mandaluyong City. 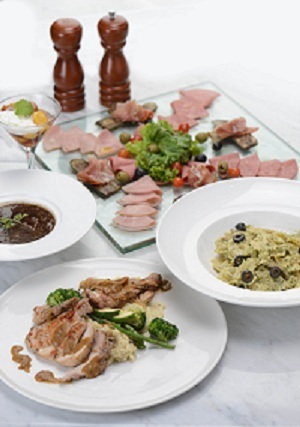 A sophisticated Italian festa del papa blowout is now within your reach at P699 ++ net per head. You can call in the entire family to celebrate with dad in a multi-course buffet menu featuring Executive Chef David Lombardi's mouth-watering creations. Food stations are also sprawled out across the restaurant that will guarantee a sure hit to your palate. Feast on prime selections of roasted pork loin and turkey, pasta wherein you can even create your own with combinations of sauces and condiments of your choice. Daddy appreciation day is brought up a notch with some good wine to toast to a la Lucia Ristorante style. Offered only on Father's Day, June 15, this special deal is available for lunch (11 a.m.-2:30 p.m.) and dinner (6 p.m.-9 p.m.). Lucia Ristorante is located at Hotel Celeste, 02 San Lorenzo Drive corner A. Arnaiz Avenue, San Lorenzo Village, 1200 Makati City. For inquiries and reservations, call 887-8080 and 836-0023 or visit Lucia Ristorante's Facebook page. They say a way to a man's heart is his stomach, so might as well take dad out on a date to a perennial favorite. Imagine choice, juicy, luscious ribs served up just the way he likes it. The Eat with Dad Unlimited Ribs promo will make palates satisfyingly full this Father's Day weekend. Priced at only P599. Bring along the whole family for this savory treat that won't hurt your budget. Complete the celebration with signature specialties from B&P including meals like High School Life (boneless chicken thigh fillet and pork belly adobo with salted boiled soy egg), Crush ng Bayan (dried Herring in olive oil and capers, with sides of cherry tomatoes), and much more. All-day breakfast fares for early-riser dads and a broad selection of meat aplenty are available. 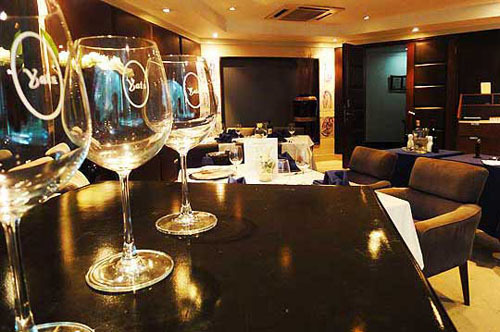 B&P restaurant is located at 515 Shaw Boulevard, Mandaluyong City. For more information and updates, visit their Facebook page. A pioneering coffee house brand in the country known for its Unli Cakes and Coffee promos, TCB is a much-deserved hug for the main man of the house on his special day. Have a go at this month's newest creation from TCB: Toffee Date Cake Pudding! At only P275, one can take pleasure in this caramel pudding cake filled with Iranian dates and roasted walnuts, immersed in brandy syrup and sticky sauce with a finishing touch of crisp pecans. A cake-jam packed with dad's favorite flavors. Drop by in any of the TCB branches around the Metro: the Coffee Beanery at Katipunan Avenue, Loyala Heights, Quezon City; the 3rd level of SM Masinag in Antipolo City; the 2nd level of SM Marikina; and Café Dominic (Sto. Domingo Church compound, Biak na Bato Street, Quezon City). Why not treat your dad to a staycation? Edsa Shangri-La Manila joins in on the festivities with overnight accommodation rates starting at P7,000 ++ which include a breakfast for two adults and two kids below 12 years. 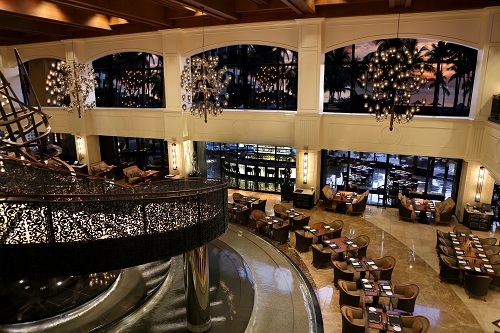 Plus, tastes of luxury with a wine buffet or a high tea treat for two are also available at the lobby lounge. 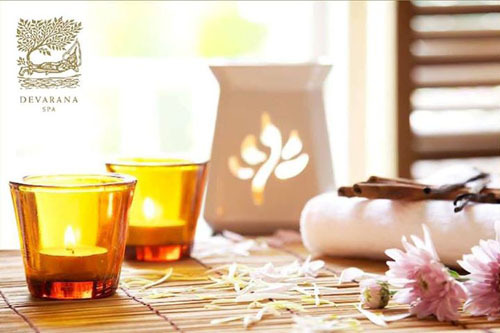 Pamper him with a rejuvenating treat of Aroma Wellness upon a visit to the CHI, The Spa, with a price of P4,500 net. A complimentary haircut or barber's shave of his choice comes in free from the Headzone Salon. Keep your dad's tummy happy with HEAT kicking off its lavish Champagne Brunch on this special day, at P3,888 net. The Father's Day lunch rate sans the bubbly is fixed at P2,500 net while dinner is at P2,155 net. Excellent Japanese food is also within your reach at Senju with its Sushi Heaven offer at P1,095 net per person. Top it off with some eccentric Father's Day cakes by executive pastry chef Martin Frowd available at the hotel's bakeshop. For inquiries, call (63 2) 633 8888 or email reservations.esl@shangri-la.com for rooms,restaurantrsvns.esl@shangri-la.com for dining, and chi.edsa@shangri-la.com for CHI, The Spa. These gorgeous meals taste equally stunning as they look and they are available at 22 Prime, a steak specialty restaurant on the 22nd floor of Discovery Suites. At P1,500 ++ per person, the course starts off with crab bisque with truffle chives, croutons and cream fraiche; then onto the main entrée where the big man of the house can choose between Prime's signature dish: the Surf and Turf or the grilled USDA rib eye served with twice-baked potato, asparagus polanaise and tomato. A hearty dose of warm chocolate velvet topped with vanilla ice cream and a kick of raspberry rounds off this tasty set. One of the restaurant's most popular steaks, the Tomahawk (approximately 1.2 kilograms of USDA prime Angus bone-in rib eye served with grilled asparagus, tomato-Parmesan gratin, potato mousseline and their very own steak sauce) is discounted at 15%. The special three-course set and the Tomahawk are available for lunch and dinner on the 15th. A restful sanctuary within the city awaits with a 55% off rate on Discovery's overnight Serendipity Suite accommodations on June 9-15 with rates starting at P4,275++. Let the good times roll with his buddies as dad and friends enjoy unlimited local beer with savory pica-pica for only P650+ per person on happy hour from 6 p.m. until 8 p.m. A buy-one, take-one offer is also at hand on all local beers from 8 p.m. to 10 p.m. Available from June 11-15, this offer can be availed at the Serendipity Lounge. The celebration doesn't end there because dad gets a chance to win a Timex watch up for grabs. For inquiries and reservations, call (63 2) 719-8888 or log onto Discovery Suites’ website. With every dine-in transaction of a minimum purchase of P1,000, dad gets a whole set for free and gets to have options from the starters right up to dessert! Give your super dad a break with a super feast. 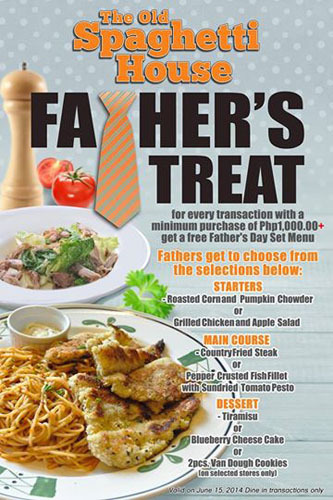 At P1,200 net, get a 4+1 Father's Day buffet treat either at lunch or dinner. For inquiries and reservations, call Eastwood Richmonde Hotel at 570-7777. 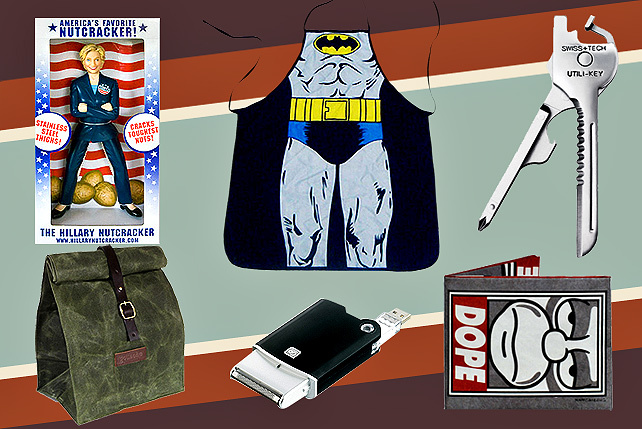 The SPOT.ph Budget-Friendly Father’s Day Gift Guide: 20 Gift Ideas for Dad!